What's New at Discover St Kitts Nevis Beaches? I am aware that you visit this page to keep abreast with what's happening here at Discover St Kitts Nevis Beaches. You may have noticed that I have stopped updating this page. That is not to say that there is nothing new on the website, but rather, it has become difficult for me to keep updating this page whenever I added something new to the site. Updating the page was just taking up too much time. But thanks to RSS (Really Simple Syndication) technology, I have now found a better way to keep you updated about the latest happenings at Discover St Kitts Nevis Beaches. What is RSS? In a nutshell, RSS is a simple way for me to inform you when there is something new, instead of having you check the site to see if there is anything new. Anxious to find out how this works and how you can use it to find out when there is an addition to the site? Well I've put together an RSS page (opens in a new window) to tell you all about it. Go ahead and read up about RSS then subscribe to my Discover St Kitts Nevis Beaches RSS Site Updates Feed by following the instructions below. You can subscribe to my Discover St Kitts Nevis Beaches RSS Site Updates Feed by right clicking on the orange RSS button in the Subscribe to Blog section of the left navigation column and copying and pasting the URL into your RSS newsreader. Google, Yahoo, MSN and Bloglines have made it very easy for you to subscribe to RSS feeds. If you are a Google, Yahoo, MSN or Bloglines user and would like to subscribe to my Discover St Kitts Nevis Beaches RSS Site Feed, click on any of the Google, Yahoo, MSN or Bloglines buttons below orange RSS button in the Subscribe to Blog section of the left navigation column. Alternatively, you can visit my Site Updates page to find out what's new here at Discover St Kitts Nevis Beaches. This page is automatically updated whenever I post a new page to the website. If you've followed the information on how to subscribe to my what's new feed, there will be no need in future for you to visit this what's new page to find out what's happening at Discover St Kitts Nevis Beaches. Instead, you will be among the first to know when I make updates to the site, just by remaining subscribed to the Discover St Kitts Nevis Beaches RSS Site Feed. Since my last update on this page I have been rather busy working on some exciting projects for Discover St Kitts Nevis Beaches, writing more pages to add to the site, updating existing pages, planning for the launch of my newsletter and working on a total redesign of my site. I am making lots of progress and hopefully just before Christmas (by the way it will be Carnival for us in St Kitts as well) I will launch my free newsletter, the St Kitts and Nevis Beach Buzz and complete the redesign of my site. Subscribe to the St Kitts Nevis Beach Buzz and Travel Forum and WIN!!! I have been busy having discussions with tour operators and tourism businesses in St Kitts and Nevis about providing free tours and other prizes for me to offer in various sweepstakes that I am planning. Thus far the response from them has been positive. Most of these contests will be limited to my newsletter subscribers and/or forum members, so you will want to ensure that you join my newsletter subscriber list and the St Kitts Nevis travel forum. A page about family beach and other family vacation ideas. You can also read about South Frigate Bay which is considered to be one of the best beaches in St Kitts outside of the Southeast Peninsula. I have also posted photos from the forum members link up at Pirates of the Caribbean and Sprat Net and added more photos from the first link up at Mr X Shiggidy Shack. For the benefit of site visitors, I have posted two travel related articles. The first is a helpful article about preventing passport problems the other is an article by forum member Drew Vics which tells of his experience climbing Mt. Liamuiga, the 3,792ft sleeping giant of St Kitts. Finally, after I launch my newsletter in December, new additions and site updates will be announced via the newsletter. I'm back, after a long break. 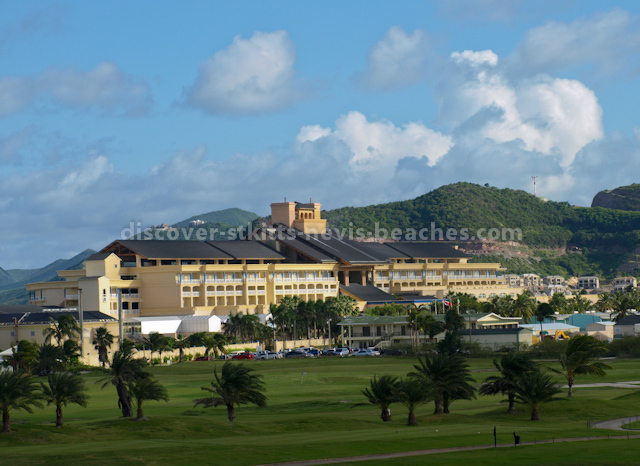 It's been a while since I last added new pages to my Discover-StKitts-Nevis-Beaches.com website. We all need a break so I took a well deserved long vacation. I'm back now and getting back into the groove of things. I have lots of great information to add to my site to assist you in planning your St. Kitts and Nevis vacation. As we approach the tourist season, I know you will be looking for additional information to assist you in your travel planning. To start the ball rolling I have put together some quick tips to assist you in making your St. Kitts Nevis accommodation choice. Be certain to follow the link to the fall specials. Who would want to pass up such a great deal? I know I wouldn't if I was out there. A group of forum members from the United States (but who are presently visiting St Kitts) got an opportunity to meet with two forum members living in St Kitts. The gathering took place at Mr X Shiggidy Shack Bar and Restaurant on South Frigate Bay Beach on Monday August 9,2004. This was a first time meeting for most of the members. It turned out that three of them had seen each other before but had not been introduced. At long last however, these forum members were able meet each other and put faces to the names of the individuals with whom they had been conversing with in the St Kitts and Nevis Forums at Discover St Kitts Nevis Beaches, SKN MyIslands and at Caribbean-On-Line. We had a wonderful time! Dinner was great. View some photos at the forum photos page. Read about history being made on the hiking trails to Mt. Liamuiga and Dos D'Anse Pond during the St. Croix Hiking Association hiking trip to St Kitts and Nevis. Olasee Davis of St. Croix reports on the group's adventures on the hiking trails in St. Kitts and Nevis. 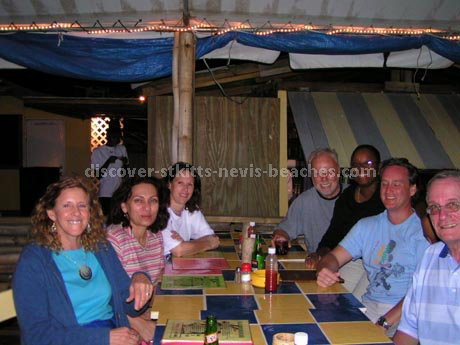 Please feel free to discuss this adventure in the St Kitts Nevis Travel Forum. Discover St Kitts Nevis Beaches is proud to announce the launch of its new St Kitts Nevis Travel Forum. The new online travel forum and discussion group went live on Friday July 30, 2004. Following the announcement, the traffic to the forum was so heavy that it caused a temporary glitch on the server which lasted a few hours. However by midday the St Kitts Nevis Travel Forum at Discover St Kitts Nevis Beaches was good to go. So stop by the new and exciting St Kitts Nevis Travel Forum for the latest in travel news, trip reviews, island adventure tales or just to link up with other SKN forumites. I have added an individual newsletter signup page to Discover St Kitts Nevis Beaches. I encourage you to stay tuned to the "Buzz" to monitor site developments here at Discover St Kitts Nevis Beaches as well as to keep your finger on the travel and tourism pulse in St Kitts and Nevis. Watch this page for an exciting announcement that will be made later tonight. 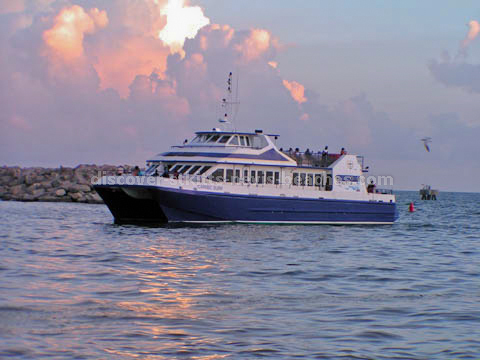 I am pleased to announce that I have just added a ferry schedule page. This page displays the St Kitts Nevis ferry schedules for the MV Caribe Breeze, MV Caribe Surf and MV Sea Hustler. 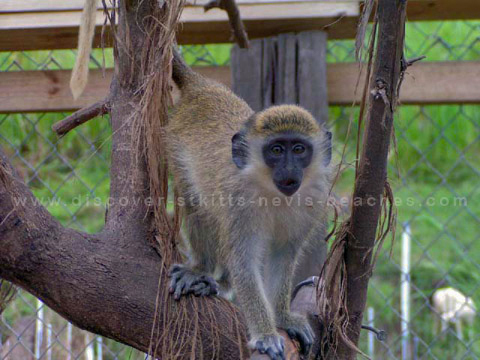 A new page with our St Kitts Nevis contact information is now available on our website. Please feel free to drop us a line or sign our guestbook to let us know how we can serve you better. I am presently working on a number of new pages and enhancements for Discover St Kitts Nevis Beaches, so be sure to visit this page often. If you prefer to receive e-mail notification of my St Kitts and Nevis announcements please sign up for my e-mail newsletter at the bottom of this page. Guestbook Page - Please sign the guestbook to let me know how you like the site. St Kitts Nevis Taxi Page - Information about where you can take a taxi and St Kitts Nevis taxi fares.